A motivated workforce has always been crucial to a company’s success. In order to sustain a productive work environment, businesses need to constantly think of ways to keep employees engaged and boost their morale. Today, office space planning is becoming an important consideration in improving team collaboration, employee retention, and recruiting new talent. Designing an office layout may sound simple but many elements come into play in completing it. Organisations may acquire the services of office interior design firms to achieve the best results. Here are some points to remember when designing an office layout. One of the most critical factors in designing an office layout is to ensure that there is ample space for employees. Cramped workstations may affect employee morale and hinder productivity. Decide between an open plan and cubicle setting, depending on the functions of each department. Open-plan works spaces are ideal for teams that frequently communicate and exchange ideas while a cubicle setting is more suitable for employees who deal with confidential information. A hybrid plan may also be considered, providing open spaces for team collaboration and private zones for employees who need a quieter work environment. Allot space for office furniture and equipment such as servers, copiers, charging stations, and printers as they have a significant impact on the overall office plan. It is also important to allocate space for expansion: bigger company, more employees, more equipment. Biophilic design is an emerging trend in offices. In a biophilic design, nature-inspired elements are introduced into the layout to promote rest and relaxation. As employees spend most of their work hours inside the office, having a place where they can connect with nature will help reduce stress and enable them to manage demanding situations better. Consider allocating space for amenities such as fitness, music, and recreational rooms. Create a space where employees can temporarily rest, like a nap room or a spot with a couple of massage chairs. 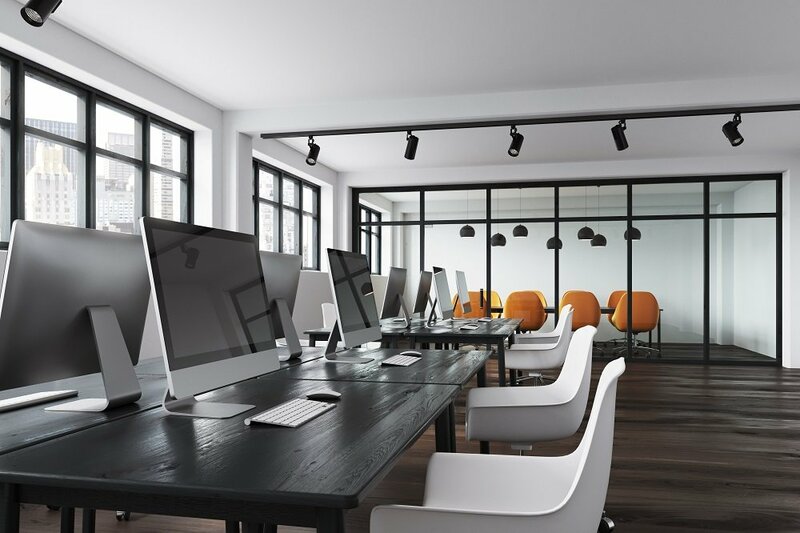 A good office layout must also take into account factors such as thermal comfort, air quality, and lighting as these impact the employees’ comfort and safety. A good office space creates visual impact not only on employees but on visitors and clients. Create a layout that complements the company’s log to strengthen brand representation and leave a lasting impression. The colour choices for office furniture, desks, chairs, and other accessories should also be factored in when designing an office layout. Maintain a balance between using striking and soothing colours to inspire creativity. Keep in mind that too much colour can be aggressive to the eyes while plain hues may appear dull and one-dimensional. When designing an office layout, businesses must take into account that they are creating experiences for their employees, their clients, and themselves. A good office layout sees to it that the basic comfort requirements are met. At the same time, a successful design will encourage employees to be in the office every day and work productively.